We are not even 2 percent of the way through the 1,000 years that will comprise the third millennium of the common era, yet if forced to make a guess of what may characterize this new age, one might cautiously utter the word “flow.” The things we consume drift in ever greater numbers across the ocean waters and our thoughts fly out on the aether in a torrent unimaginable even two decades ago, be they over cellular networks, WhatsApp, Twitter, Skype, Snapchat, Facebook, what have you. 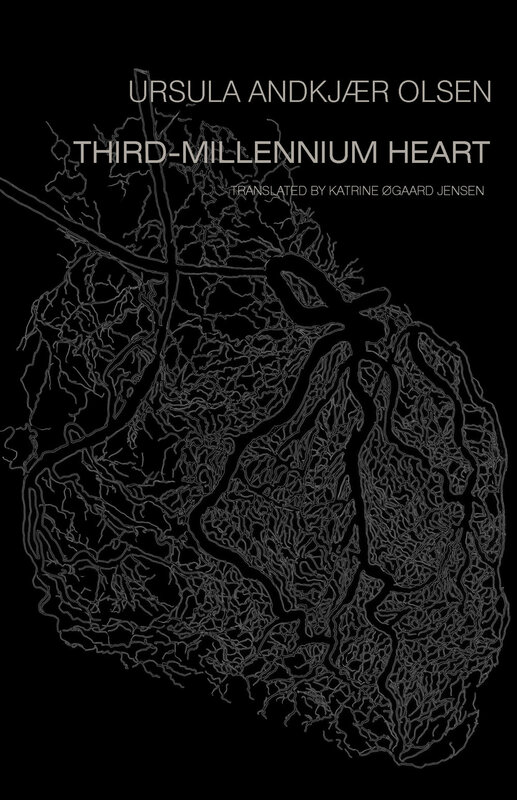 It is a time of global migrations, an era of newfound interest in transiting back and forth across the once firm boundaries of gender, an expansion of linguistic translation and transformation, and even (in some corners) dreams of exiting the material body altogether and discovering a kind of transhumanity as a pure flow of information. inserted between the divided parts of the existing void. Once there, all vessels will be connected. The idea (at least in my interpretation of this sphinx-like work) is that sexuality is such a massive category that it engulfs even hugely distant emotions like a mother’s love, wanton lust, and misogyny; there is no one meaning, only the flux of different meanings depending on variables like time, age, gender, nation, and circumstance—in fact, even within a given situation multiple meanings will be discovered if only we linger long and closely enough. In the ecstasy of Olsen’s idealized, poetic world she can dash and flit freely between them. In this book that convincingly dances and brawls with the systems that give shape and meaning to our world, it is Olsen’s fascination with the very possibilities of language—that grandest, most powerful and controlling system of all—that make this book such a wide-ranging, wide-raging read. “Namedrunk” is, for my money, the most interesting neologism in a book with quite a few (and let us doff our caps to translator Katrine Øgaard Jensen, whose linguistic inventiveness succeeds marvelously here and elsewhere throughout this book). The word perhaps refers to the state of a world far too drunk on nomenclature, a world where names so proliferate that everything imaginable has at least two, if not three, and so the freedom Olsen careens toward is too often stifled. Because as we all know, to name is to create, it is to own, and a world that lacks the capacity to name is a world filled with the dispossessed. It seems that as Olsen sets her sights on sobering up a namedrunk world—”the goal is to exist without form”—she is aiming for the greatest drunkenness of all, a pure liberation, a state of flow where all vessels are connected, all things one. The poem forges contradictions into its own hide, it deconstructs binaries and builds them back up again, and from these confrontations it creates meaning: not the semantic meaning that travels across utterances but the meaning that sits atop gestures, the sparks that come as contradictions crash against one another. Like a supercollider smashing together exotic subatomic particles just to see what happens, Olsen accelerates language to the very limits, detonating it to watch what knowledge comes forth from ecstasy.